In the event that you need to use data, you can closely monitor your usage, by scrolling down to the listing of your apps, and view the amount of data it uses when connected to a cellular connection. This is found directly underneath the app listings. Another good tip for monitoring data usage is to reset statistics at the beginning of your trip. This is found at the bottom of the cellular section page. Furthermore, one of the easiest ways to save on data usage is to use Wi-Fi to make free calls. This can be done over FaceTime audio, Skype and Google Voice, just to name a few. Is your iPad Cellular Enabled? If you own a cellular enabled iPad of any variety, you SIM card is already unlocked. This is especially helpful if you plan on purchasing/using a local SIM card for data usage. When using your iPad over a cellular network, it is important to understand the limitations and costs associated with said usage. There are steps that you can take to safeguard yourself from unexpected costs/charges when traveling abroad. The very first step you should take is to contact your local carrier. They should be able to answer any questions you might have. However, visiting their website for information may prove just as fruitful, without the extra time investment associated with a call. In my experience, by visiting the website first, I often felt more prepared to make a decision about international roaming than by talking to my own carrier. If you feel the your representative is merely reading from a script and isn’t fully versed in what options you have available, insist on talking to someone who is better equipped. Carrier generally don’t have too many options to choose from with regard to international travel. Generally, it boils down to how much data you need while away. 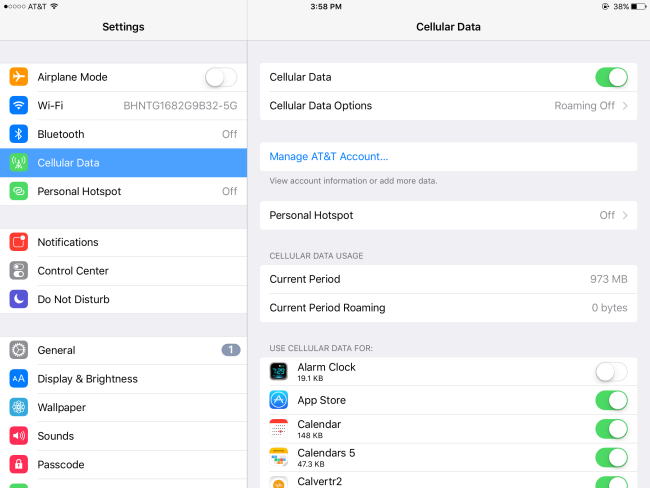 You can always buy a cellular data plan for your iPad. Additionally, if you have an iPad with an Apple SIM, you can buy cellular data plans from select carriers in more than 90 countries and territories around the world. Upon arrival at your destination, you can then choose a cellular data plan right from your iPad settings to get connected. What should you do when you get to your destination? If you need to use data upon arriving at your destination, and you already have set-up an international data plan with your carrier prior to departing, you can now turn on data roaming. 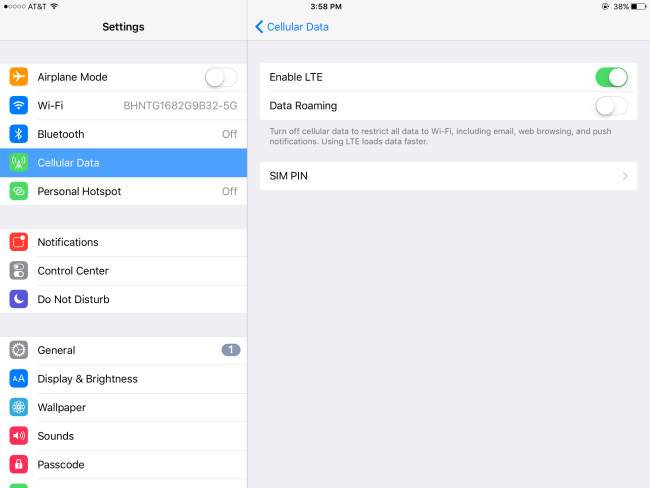 This can be found on your iPad, in Settings–> Cellular Data–> Cellular Data Options. If your iPad has an Apple SIM, you can sign up for a data plan with select carriers in that country. To do this Go to Settings–> Cellular Data and choose a plan that fits your needs. More information can be found here. To use/activate a locally bought SIM card, simply remove your current SIM card, and replace it with the newly purchased card. Don’t forget to keep your old SIM in a safe place to swap out upon returning home. Troubleshooting International Data Roaming issues. If your iPad displays the No Service icon in the status bar–first verify that Data Roaming is indeed turned on. If it is, then follow up with your data provider to make sure that your international roaming plan for your account has been activated. Most international plans last for 30 days, so it’s a good idea to have it go live several days before you need it–especially if your trip is less than 30 days. Incorrect date and time issues are typically resolved by making sure the Automatic Time Zone feature is turned on. 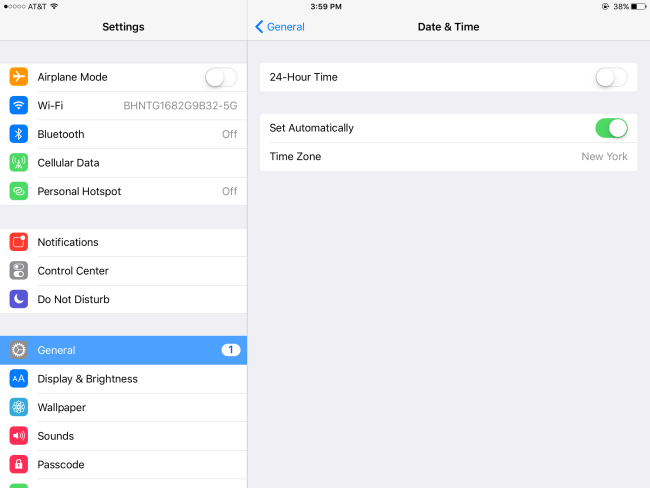 To check your iPad go to Settings–> General–> Date & Time–> Set Automatically. Allow your iPad a chance to pause and then search again for the best available network by turn on Airplane Mode for 30 seconds, and then turning it off again. Manually select a network by opening Settings–> Carrier–> Turn off automatic. After a few minutes available networks will appear, and can be selected for use. Make sure you have the appropriate power outlet for the Country you are visiting. This is one of those tips that makes perfect sense, but can be easily overlooked while planning a trip–especially for first time international travelers. Depending on where you are traveling, the outlets will most likely be different then here in the US. A quick search for electrical outlets in the country you are traveling to will present you with a variety of affordable options. 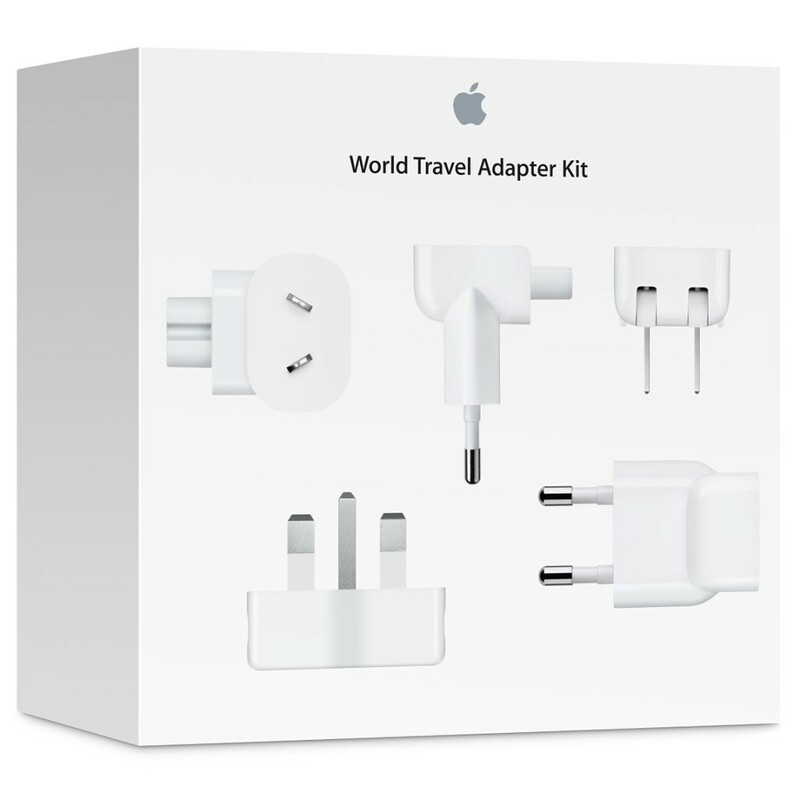 In addition, Apple sells a World Traveler Adapter Kit that fits different electrical outlets around the world. I love to travel and would love to travel overseas one day. I have wondered about electronics and what I would do, so this is the perfect article for me. It’s great that Apple sells an adapter kit. Thanks so much for the info!